Do you like horror? Do you like to frighten the bejesus out of friends and family but they don’t appreciate your “skill?” Come and tell Humoroutcasts.com (HO) all about. It is our annual Humor Meets Horror contest, and this month we are dedicating some prime space to the talented writers who make us want to leave the light on all night long. Share with us your horror and you might just win an Amazon gift card. 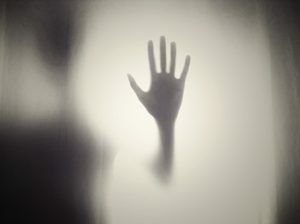 Humoroutcasts.com is accepting scary stories all month long. We will announce our winners the first week in November. Top three entries get an Amazon gift card. What do you get even if you don’t win? New fans. It’s always good to expand your audience and you are getting a chance to do that on HO, a top 100 humor blog, which receives by latest Google analytics at least 2500 hits per day. If you have a scary story to share, please send it to Donna@Humoroutcasts.com HO writers are invited to submit as well and your work will be considered for the prizes too.